On Monday, November 21, I had the privilege to have a virtual sit down with Tom Murray, Director of Innovation for The Alliance for Better Education. As part of the Future Ready initiative, Tom hosts a series of webinars on a variety of issues in education. Over the past few years, there has been tremendous buzz on teachers using various social networking sites, such as Twitter, for professional learning. Recent peer-reviewed journal publications about the uses and benefits of teachers getting connected, and the isolation so many teachers feel across the country, speak about the successes and challenges many educators face when seeking a professional network online. As an instructional technologist, Will Deyamport will share research-based strategies and personal anecdotes to effectively engage, share, and design one’s own personal learning network (PLN). strategies, tools, and other resources available to assist teachers, schools, and districts in getting connected. 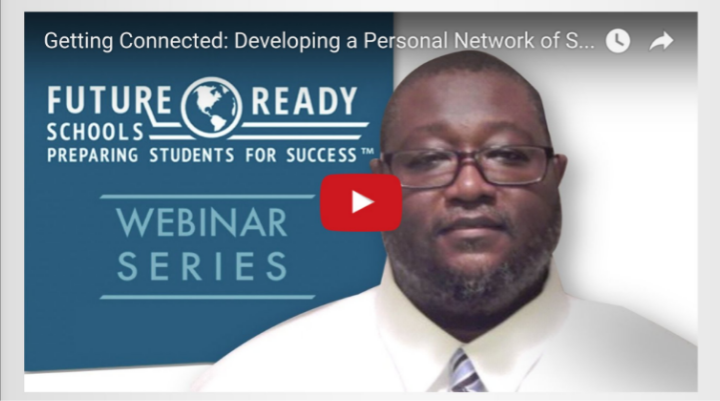 Watch the webinar and please share with your Personal Learning Network.